Scores of people have been killed after a massive fire raced through several apartment buildings also used as chemical warehouses in a centuries-old part of Bangladesh‘s capital, Dhaka, according to fire officials. 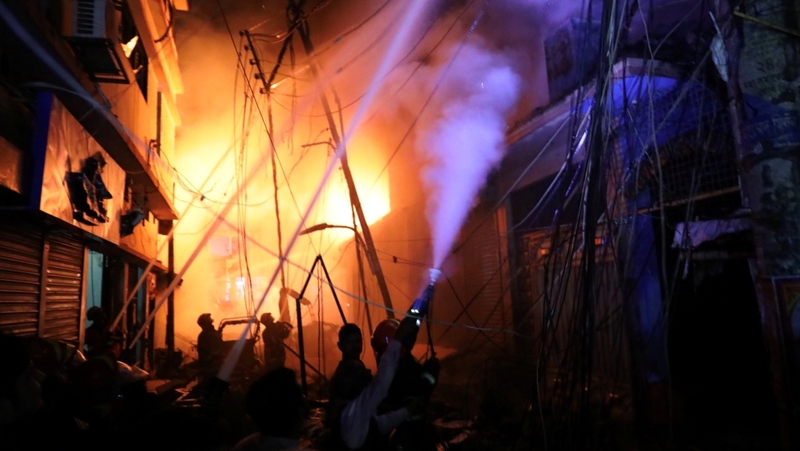 The devastating blaze, which broke out around 10.40pm (16:40 GMT) on Wednesday at a building in Chawkbazar, in the old part of Dhaka, was not yet entirely under control as of Thursday morning. Fire control room officials told news agencies that 69 people had been killed, with officials expecting the death toll to rise as emergency crews continued searching for survivors. About 50 others were injured, including some in critical condition. Fire service chief Ali Ahmed said the fire might have originated from a gas cylinder before quickly spreading through the building where highly flammable chemicals were stored. The flames raced through four adjoining structures, which were also used as chemical warehouses, including for storing plastic granules and body sprays. “There was a traffic jam when the fire broke out. So people could not escape,” Ahmed said, describing a part of town where the streets are very narrow. “I saw with my own eyes that a sudden massive bang with fire and shockwaves totally destroyed the roadside wall,” Hazi Mohammed Salauddin, who was injured in the fire, said. A fire official told reporters that the blaze has been “confined” but not yet doused despite the efforts of more than 200 firefighters. “It will take time. This is not like any other fire,” he said, adding the blaze became so devastating due to the “highly combustible” chemicals stored there. Bangladesh has been harshly criticised for its poor safety record, with many buildings being used both for residential and commercial purposes. A similar fire in 2010 in an old Dhaka building, which was also used as a chemical warehouse, killed more than 120 people in one of the worst fire tragedies in Dhaka. 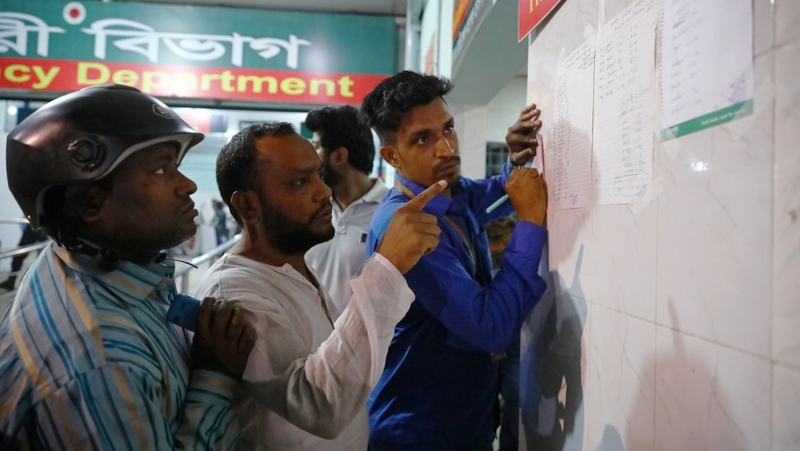 “There was a lot of protests at the time to remove all these illegal factories and chemical warehouses from the area, which obviously hasn’t been done,” Al Jazeera’s Tanvir Chowdhury, reporting from Dhaka, said.